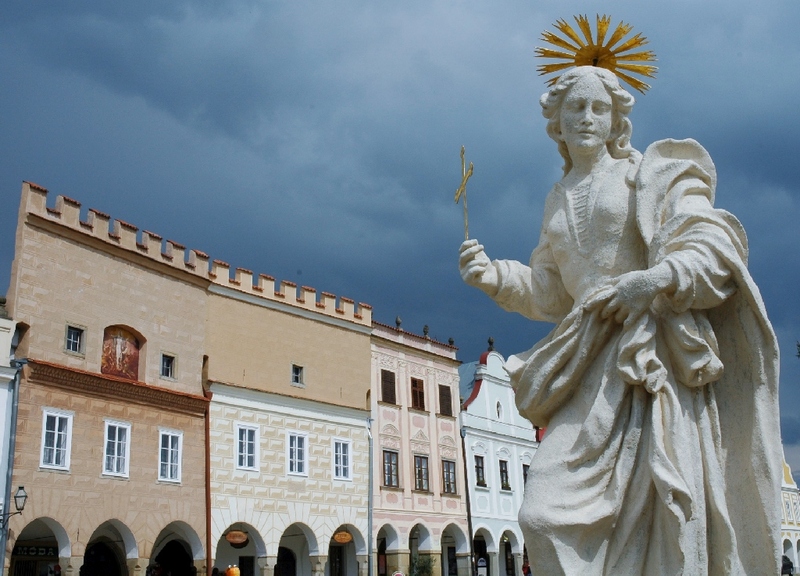 After departure from your hotel in Prague at 9 am the tour starts in the historical town of Telč, located about 160 km south-east from Prague. We should arrive there by approximately 10:30 am. Telč is simply amazing. It would be hard to imagine a more fairy-tale-like little town. The main square which looks like it has come straight out of the stories of Hans Christian Andersen, a romantic chateau and crystal clear fishponds surrounding the city. 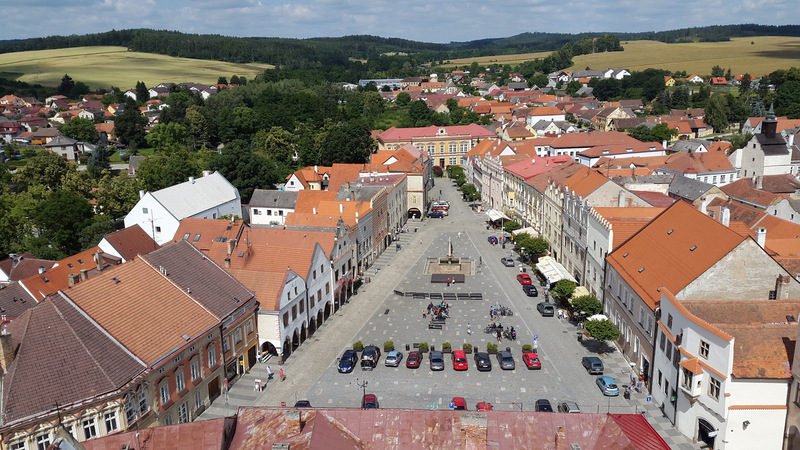 Telč is the finest example of the Italian Renaissance north of the Alps and a town with one of the most beautiful squares in Europe. 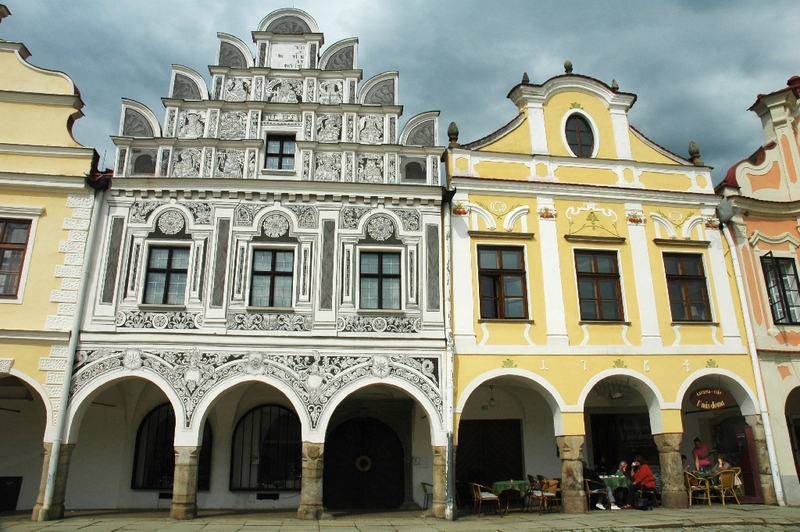 The facades of the houses that surround the main square were the reason why Telč was added to the UNESCO list of world cultural heritage in 1992. 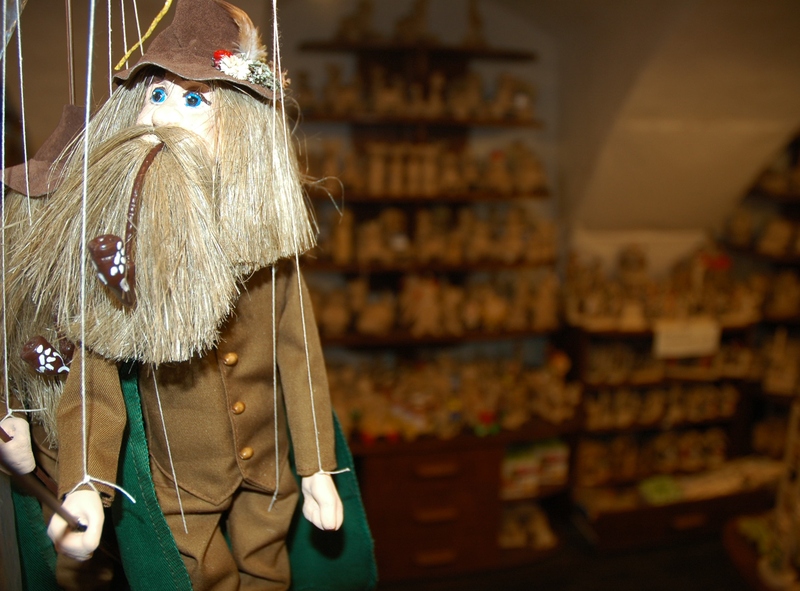 Telč is also famous for its hand made toys and other craftworks. If you are interested in these kind of things in Telč you can buy just perfect souveniers. We will spend about 2 hours in this town visiting the square and chateau and having lunch in one of the local restaurants. After Telč, the tour continues to the south-west to the tiny town of Slavonice. On the way, we will stop for a cup of coffee in the town of Dačice. There is a very special reason for this. 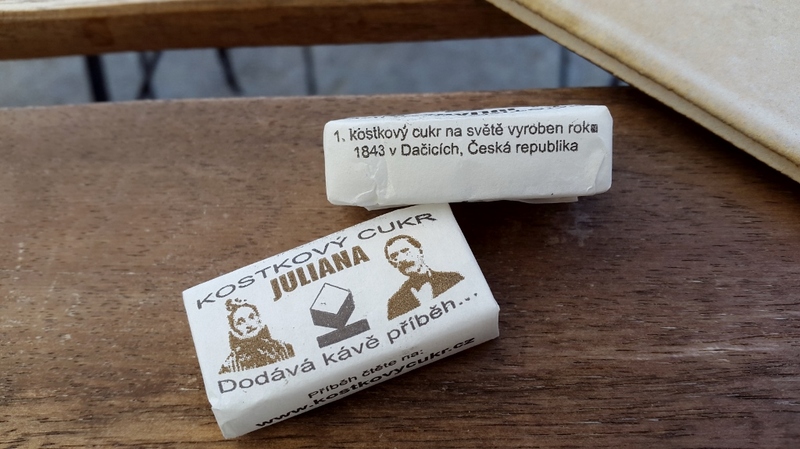 Did you know that sugar cube was invented here? After finishing your cup of coffee, we will continue on to Slavonice. This small town was founded in 12th century and is located right on the Bohemia-Moravia-Austria border. It has also been placed on the UNESCO World Heritage list. Without exaggerating Slavonice represents one of South Bohemia’s true gems. The main square contains a unique collection of Gothic-Renaissance monuments and buildings with archways that house small shops, pubs and cafes. Among Slavonice’s other main attractions are impressive tower built at the beginning of the 16th century and the town´s underground catacombs. These were used as a defence and communication system in the 13th century. 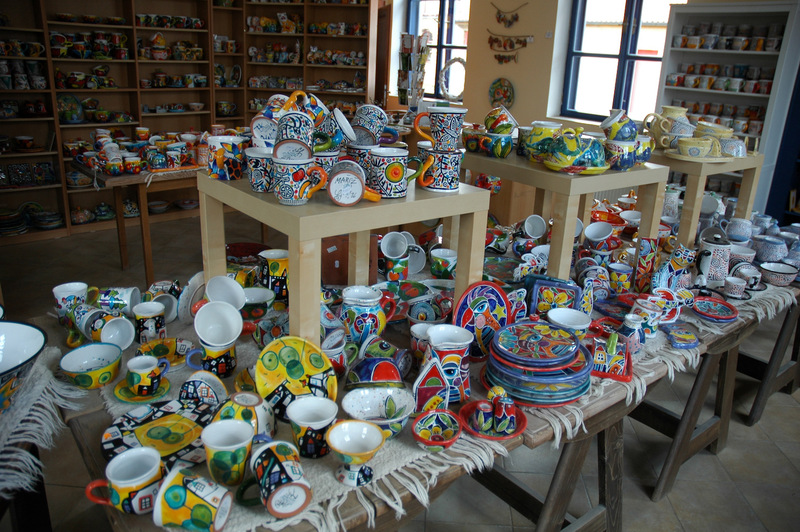 Founded in 1991 by Kryštof Trubáček, a local artist and glassworker, about 15 km South from Slavonice, the original Ceramics Oasis in a tiny village called Maříž became famous as a cultural centre selling whimsical and colourful ceramic crafts. What makes Maříž Ceramics so special is that not only can you purchase original ceramic works, but you can also paint and decorate your own ceramic mugs and tiles. Maříž Ceramics is definitely one of the best establishments for gifts and also great for entertaining your little ones. They also have an online shop if you are interested in purchasing something from the displayed large array of ceramics including, mugs, platters, and plates, as well as colourful bags and T-shirts. The well preserved ruins of a mighty castle built in the 13th century on the order from the Czech king Přemysl Otakar II to protect the land’s border. 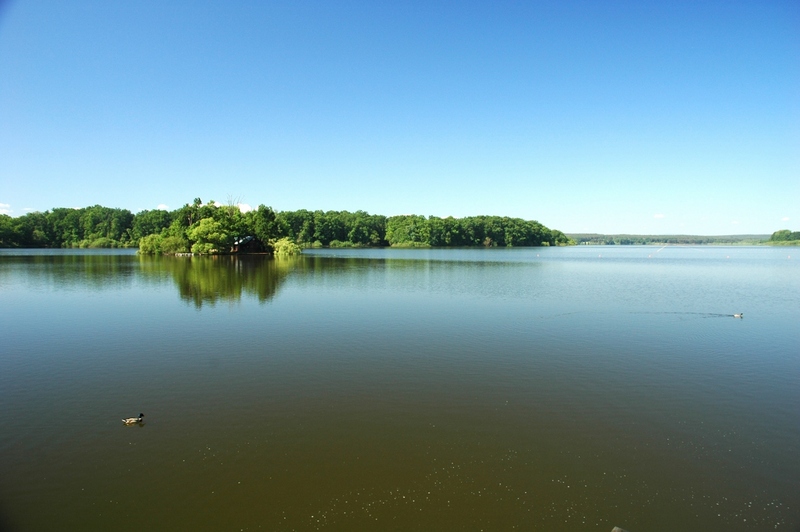 The castle is surrounded by deep forests and countless ponds that are part of the Czech Canada nature park. 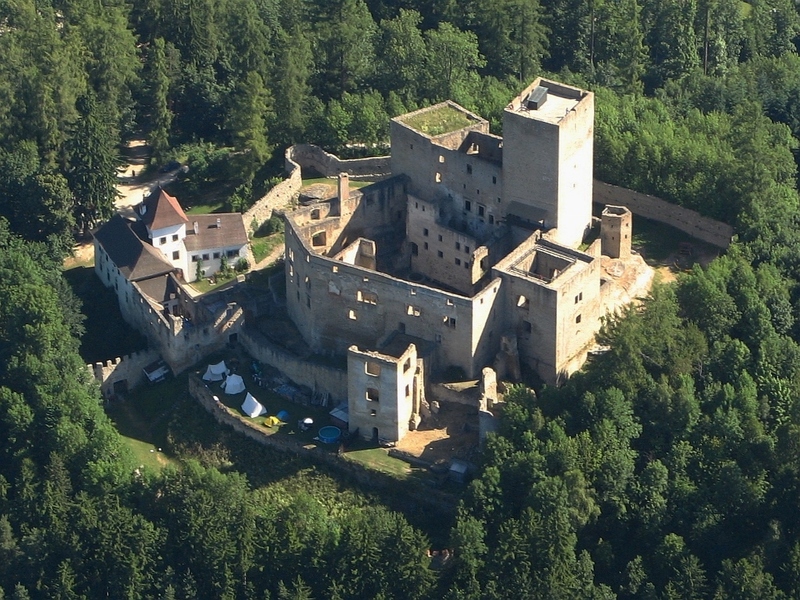 Landštejn is an example of a well-preserved medieval fortification system. The oldest part of the castle comprising of the palace built between two defence towers is truly unique in the Czech Republic. The later addition of Gothic fortifications, including a donjon gave the castle another courtyard. The monumental four-storey palace bears marks of renaissance fortifications topped with baroque artillery bastions, which leaves the castle showing a total of four different architectural styles. During the summer, there are very entertaining shows about medieval life including demonstrations of sword and dagger fighting. There is also a very pleasant restaurant with a beer garden right next to the castle. 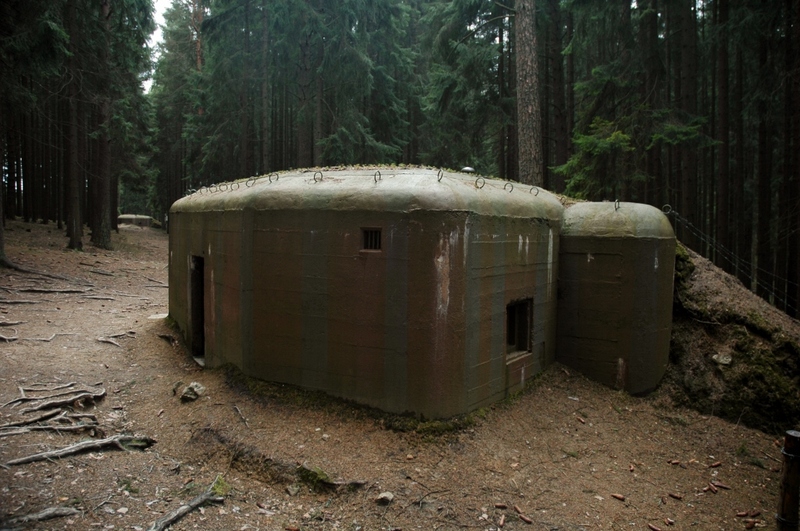 This complex of light bunkers and various anti-tank and anti-infantry defence tools represents a good example of the defensive line built between years 1936 – 1938 along the borders to defend Czechoslovakia from the invasion of Nazi Troops. All together there are 9 bunkers that were restored to their original state. Three of them were even equipped with the original armaments and gear. For modern history fans this short walk into the forest is simply a must-see thing. The first day of the tour will conclude in Jindřichův Hradec where the overnight stay in one of the hotels in the historical city centre will be arranged along with dinner in one of the local restaurants. Jindřichův Hradec is a city that lies on the banks of the Nežárka River. The first written record of the city dates back to 1220. At the beginning of the 13th Century, a Gothic Castle was built on the foundation of the initial Slavic fortress. The city reached its prime in the 16th century. Renaissance building structures were added to Gothic ones and during a census after the Thirty Years War Jindřichův Hradec turned out to be the second largest city in the Bohemian Kingdom. Today, Jindřichův Hradec is a vivid city with many cultural events and shows organized there. The second day of our tour will start with sightseeing at the amazing Jindřichův Hradec Castle and the city centre after breakfast. Once the sightseeing tour finishes up at a famous local cafeteria we will depart at approximately 11:30 am for Třeboň. Třeboň, a medieval town located in typically picturesque landscape of South Bohemia, has a well-preserved historic square shaped by an arcade of houses which is a mix of Renaissance and Baroque styles. 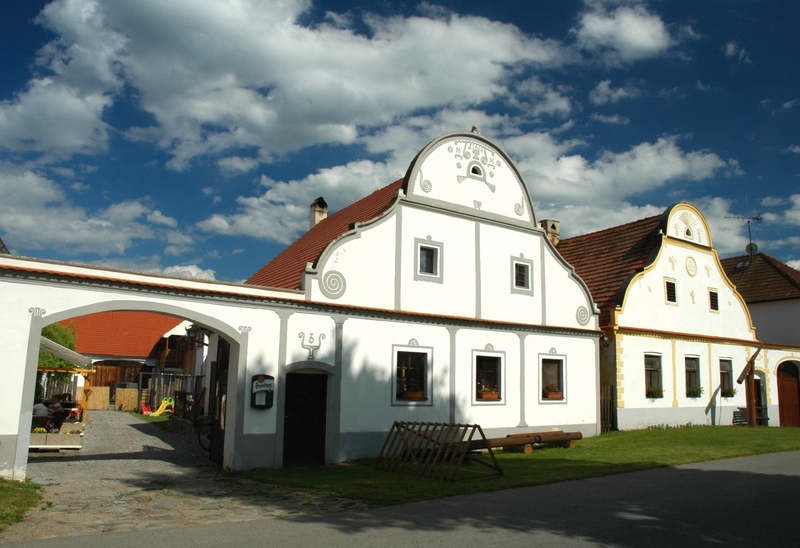 But what is unique about Třeboň are the centuries-old tradition of ponds and fish-farming along with its local brewery – it was established in 1379 and is one of the oldest breweries in Europe! Among the main attractions in Třeboň belong also the renaissance castle and the baroque Augustinian monastery. 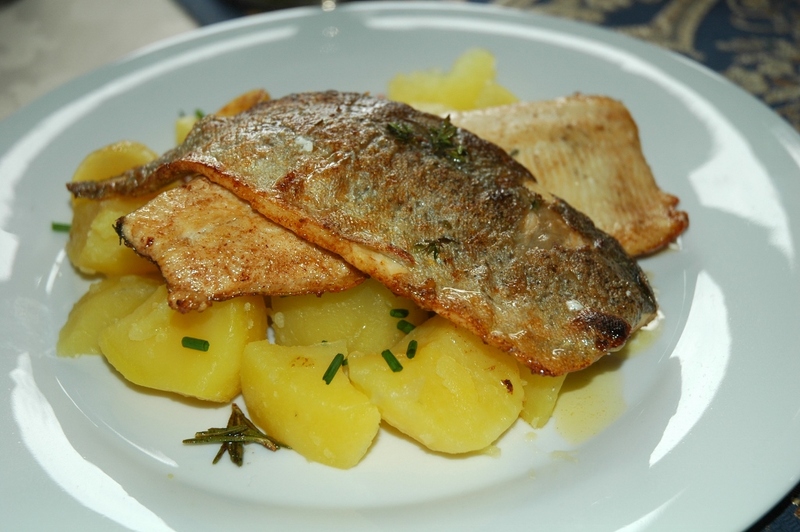 As Třeboň has been nicknamed the “City of Ponds” it is also world-famous for its delicious fish specialties. Thus, after a walk through the city centre we will have lunch in the best local fish restaurant Šupina (Scale). Of course, if you don’t like fish we can eat in one of the other great restaurants in the city centre that offer a wide variety of typical Czech dishes. After lunch, we will take part in the Walk-Around-the-World trip. This local joke refers to the fact that the second biggest pond in the Czech Republic located just around the corner from Třeboň’s town centre is called Svět (the World). 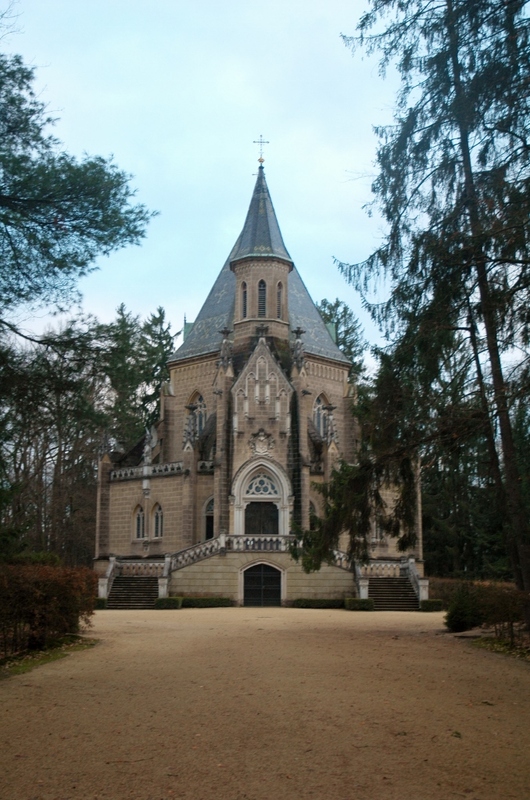 This approximately 2,5 km long walk on the dam of the majestic pond will take us to the impressive Schwarzenberg neo-gothic chapel. 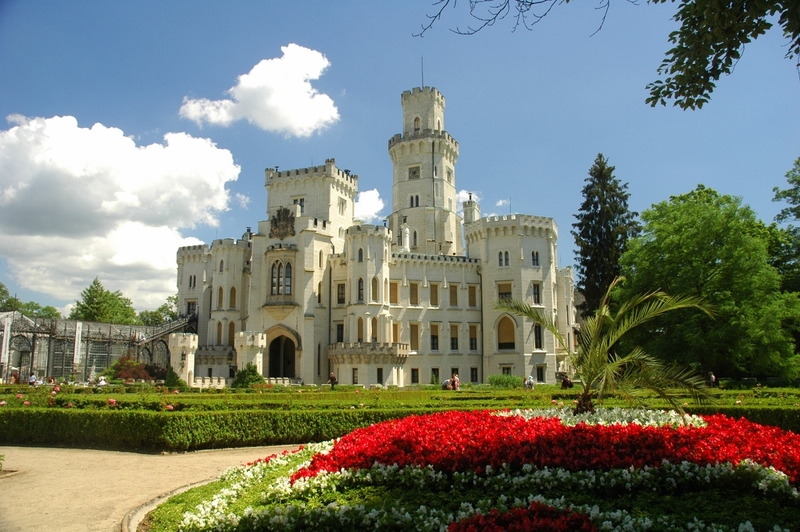 The 2-day tour will continue with visiting Hluboká Castle, probably the most beautiful castle in the Czech Republic. Hluboká is located about 30 km north-west from Třeboň near České Budějovice so we will have a chance to visit it on the way back to Prague. The castle sits on a pond basin and above the Vltava River. Originally a royal castle, Hluboká was established in the 13th century by King Přemysl Otakar II. In 1661, the Schwarzenberg family gained possession of the structure and reconstructed the castle to its present day Neo-gothic appearance based on the English castle of Windsor. Castle is surrounded by a gorgeous English style castle park. All this makes Hluboká a true fairy-tale gem. From Hluboká we will continue our trip back to Prague. The planned arrival time back to your hotel is between 6 – 7 pm. From Třeboň we will continue our trip to the world-famous Český Krumlov. Situated on the banks of the Vltava River, the town was built up during the 13th century. Český Krumlov or just Krumlov as local people call it is an outstanding example of a small central European medieval town whose architectural heritage has remained intact thanks to its peaceful evolution over more than five centuries. It is place where the sumptuousness of the local castle, maze-like alleyways, richly decorated coats of arms of burghers’ houses, and wonderful floral gardens are harmoniously interwoven; at the same time, it boasts medieval pubs, cafeterias, galleries and small shops. 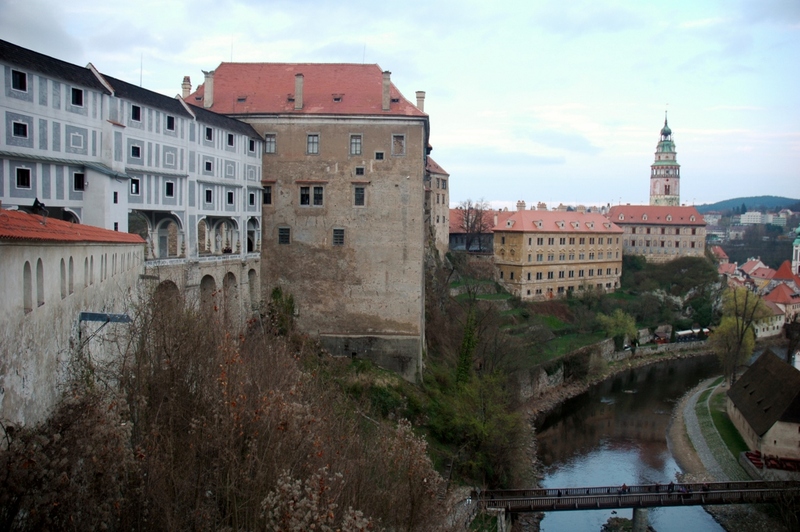 On top of that there is Krumlov´s impressive castle with its beautiful Gothic, Renaissance and Baroque elements. 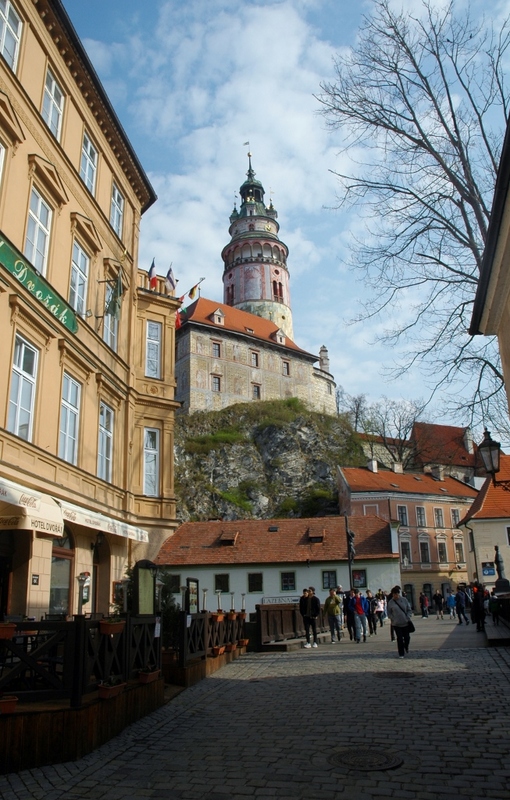 Because of its fascinating atmosphere, Český Krumlov is one of the most visited places in the Czech Republic. No wonder that thanks to its unique preserved medieval core it is also a UNESCO-designated World Heritage Site. The arrival to Český Krumlov will be later in the afternoon and accommodation will be organized in the preferred hotel. Dinner will take place in one of the stylish local restaurants and as Česká Krumlov is – especially in summer – very lively place, there are concerts and other entertainment attractions to see at night that you can visit. But maybe you prefer just to wander around the beautifully entangled narrow streets of this magical medieval town. Everything is possible in Český Krumlov. Town, castle and park sightseeing will be organized right after breakfast in day 3 of your tour. You can take as much time as you want to explore this one and only place that so many before you fell in love with. The departure is planned after lunch at approximately 1:00 pm. But this is not the end of the tour! On the way back to Prague we will visit two more absolutely unique sites. The first one is the historical village of Holašovice – an exceptionally well-preserved example of a traditional central European village. It has a large number of outstanding 18th– 19th-century vernacular buildings in a style commonly known as South Bohemian folk Baroque. In 1996, it was added to the UNESCO World Heritage List. 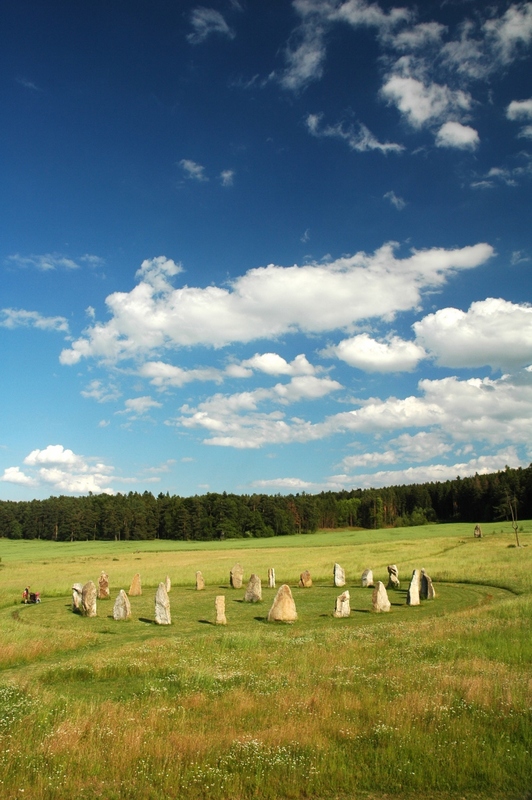 Just next to the village there is the Czech Stonehenge – the circle of stones that have healing powers and can charge you with the positive energy! About 20 km north from Holašovice there is the last highlight of the tour – Hluboká Castle, the masterpiece among all the Czech castles – see above. The planned return to your hotel is expected to be between 6 – 7 pm. This itinerary describes the main highlights of the tour that you can see during a 2 or 3 day tour. But as we care about your full satisfaction it will be up to you to design the final tour plan. Our role is to advise you about what is possible to do and see within the given time frame. And of course we can add anything else you would like to do. If you have had already enough of sight-seeing, perhaps you would prefer to chill with good food and glass of beer? We will take you to just the right sort of place. Would you like to find a concert of other cultural event in the medieval towns? No problem we will check for you. Remember – we are here to make sure you have a great holiday. Contact: CZEXPERIENCE / GENIUS GUIDE ltd.